Some Phenos Tested at 30+% THC! Not only does Royal Gorilla contain 100% authentic Gorilla Glue genetics, these babies don't spare a thing when it comes to thick, gooey resin & near-lethal potency. They're killer! Strong Physical Stones & Uplifting Head Highs! 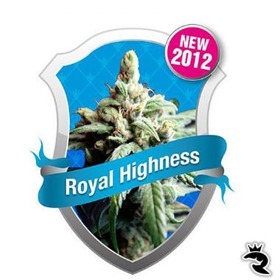 RQS Goes High CBD with New Royal Highness! Crystal clear & active, Royal Highness does more than take the edge off without causing any anxiety. Don't expect any euphoria or stone with these female cannabis seeds. They're all about the healing power of weed seeds! Beginner Friendly with 1000 Gram Yields! 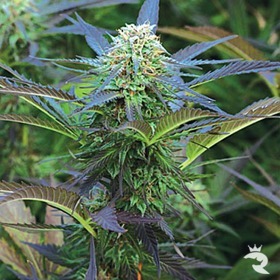 Royal Kush is a weed god outside, capable of reaching up to 1000 gr/seed of top-quality Skunk regardless of experience level. She's unstoppable! Afghan #1 X Skunk #1 - Classic! One Mother You'd Love to …. Smoke! Royal Madre is a high-powered Jack the Reeper X Queen Madre hybrid with rich flavours, 18% THC & a relaxing, appetite stimulating, medical high. Royal Medic Cures What Ails You! 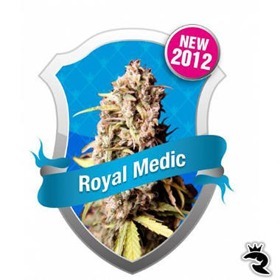 To experience the true healing power of ganja seeds, drop the couchlockers & pick up Royal Medic. 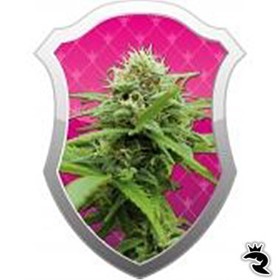 The high CBD levels turn these feminised seeds into potent MMJ powerhouses! Royal Moby is a Big, Fat Whale of a Weed Seed! Royal Moby blows other cannabis seeds out of the water when it comes to yield, power or extreme effect. These fems are real monsters with output that can only be described as unbelievable! Even Bigger Yields Outside - 1000 gr/seed or More! 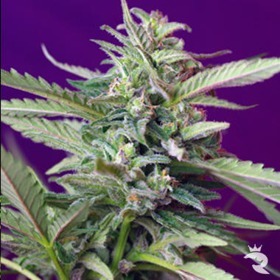 Royal Purple Kush Feminized: Calm & Energizing! Extremely potent, Royal Purple Kush Feminized is both uplifting & serene for a premium experience. Yields are good, the resin is thick & the flavours are complex. ET describes these cannabis seeds as otherworldly! Sweet Black Afghani X Rich Bubba Kush - Yum! Critical: Extreme Speed, Volcanic Yields, Dwarf Size! 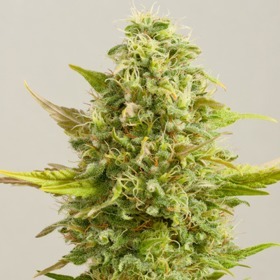 At just 50 cm tall, Royal Queen Critical Feminized is simply incredible. This Skunk hybrid pumps out a ton of dank in just 7 weeks or less, & you can't beat that with a Thai stick! Potent Indica-Dom Hybrid - Body & Mind! 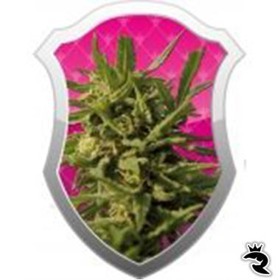 Claim Your VIP Status with OG Kush Cannabis Seeds! 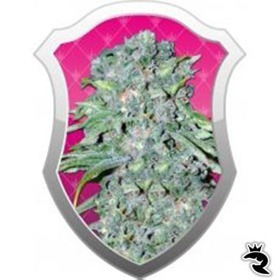 Royal Queen OG Kush Feminized is famous throughout the world as the go-to strain for rockers, movie stars & wanna-bes. 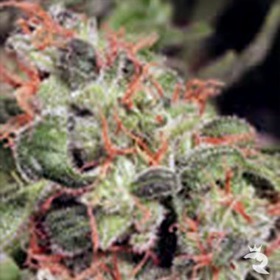 Why should they have all the fun when you can get your own OG Kush Seeds right here & now for less? You Want CBD? You Got It X 3! 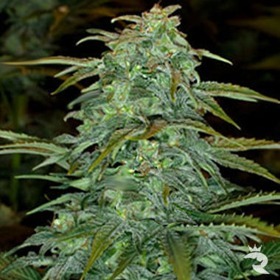 To satisfy an overwhelming demand for MMJ, Sweet Seeds amped up their classic S.A.D. with a high-CBD Diesel to deliver a THC to CBD ratio that averages between 1:1 & 1:3 - that's as much as 3X the CBD.